The animation resume of Nora Twomey (“Song of the Sea,” “The Secret of Kells”) is heavy on splendid visuals and meandering stories. That pattern holds true in “The Breadwinner,” an adaptation of Deborah Ellis’ young adult novel about an Afghan girl who survives the Taliban’s reign of terror by posing as a boy. The film is heavy on social relevance but quickly loses its narrative way. Even moments that should be devastating come off as tepid. Each day eleven-year-old Parvana (Saara Chaudry) accompanies her father, a former teacher who lost a leg fighting the Russians, to the central market of Kabul where they attempt to sell a few family possessions, including a beautiful red dress which Parvana will now never get to wear. There they run afoul of Taliban bullies who maintain that no woman — not even a prepubescent girl — should be seen in public. When Parvana’s father stands up for her, he is dragged away to prison. This leaves the remaining family members — including Parvana’s mother, older sister and baby brother — in a desperate situation. Without a man to support them they face starvation. Parvana risks arrests or beating just venturing outside to get water from a nearby well. Sneaking around the bazaar one day our heroine meets an old school mate, a girl named Shauzia who has cut her hair and adopted a man’s name. Parvana follows suit, and soon the two are working odd jobs; she’s proud to be her family’s breadwinner. But discovery and punishment are never far from her mind, which may be why she concentrates more on simple survival than exploiting the privileges afforded by her new maleness. “The Breadwinner” features a story within a story. Parvana is a born storyteller, and she amuses herself and family members by spinning out a fantasy about a young man whose village is beset by monsters and his efforts to reclaim the seeds vital to the community’s survival. Clearly, this is a metaphor for the situation facing Afghan women. In contrast to the gray and brown palette of the “real world” sequences, these fantasy moments are bursting with color. Too bad, then, that the story Parvana relates lacks any immediacy. It feels like a time killer, and that feeling of inconsequence seeps over to the rest of the film as well. It’s a case of a great message delivered in lackadaisical style. Even if “He Named Me Malala” were a mediocre example of the documentarian’s art it still would be devastating. You couldn’t invent a story more inspiring than that of Malala Yousafzai, the 15-year-old Pakistani girl who openly fought the Taliban’s ban on education for women, was shot in the head by an assassin, miraculously recovered, and now is key to international efforts to provide schooling for young women in often hostile environments. 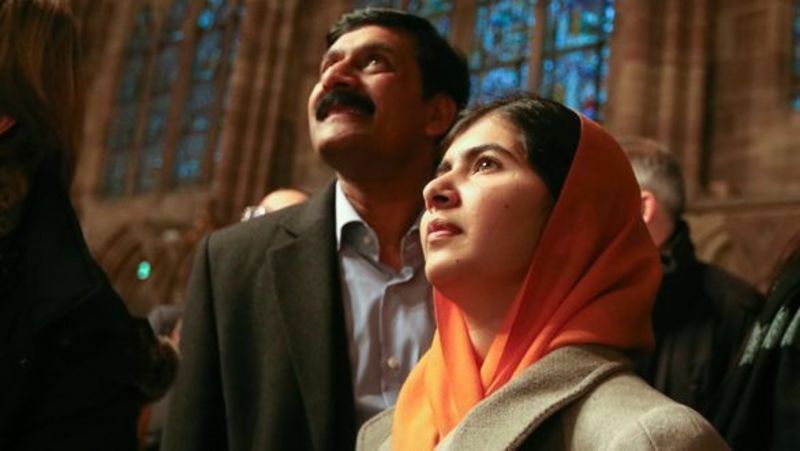 Filmmaker Davis Guggenheim (“An Inconvenient Truth,” “Waiting for ‘Superman’”) is clearly in awe of Malala, who possesses the uncannily calm, transcendent world view you’d expect from an 80-year-old guru or lama, but certainly not from an 18 year old. Perhaps Guggenheim is too much in awe of his subject, for there seems to be little room here for any sort of critical perspective. I’m not asking Guggenheim to gnaw away at this remarkable young woman’s reputation (you come away from the film humbled and inspired), but it would be nice to get a handle on how much (if any) of her activism is guided by her father, Ziauddin, an educator with big ideas. “He Named Me Malala” begins with an animated sequence depicting the 19th-century martyrdom of Malalai of Mailwand, the Pakistani version of Joan of Arc, who died leading native insurgents into battle against occupying British forces. Malala narrates this story, and it clearly has personal meaning. After all, long before she became an international symbol for women’s rights her father named her after the historic Malalai. It’s almost as if he knew she was destined for big things. Let’s not mince words. Mike and Carlos Boettcher’s “The Hornet’s Nest” is on the short list of the greatest combat documentaries of all time. It’s an experience that will scare you, inspire you and quite likely leave you in tears. And no matter what your views on the origins, prosecution or morality of the War on Terror, it will leave you awed by the dedication and bravery of our fighting men. TV journalist Mike Boettcher has spent nearly three decades shooting and reporting on wars around the world. His dedication to the job led to the breakup of his marriage and long separations from his children. As “The Hornet’s Nest” begins, Mike and his now-grown son Carlos team up to record the U.S. military effort in Afghanistan for ABC News. Mike tells us he is both gratified and wary…it will serve as an opportunity to bond with the son whose childhood he missed, but it will also put that son in harm’s way. That parent/child dynamic, which percolates just below the film’s surface, gives a bit of personal urgency to “The Hornet’s Nest” – particularly when Mike believes that Carlos has been killed or wounded by Taliban snipers. But it really isn’t the documentary’s driving force. The real subjects are the uniformed men (some seem mere boys) who go about their dirty jobs in front of the Boettchers’ cameras. A few soldiers appear in talking-head interviews, but “The Hornet’s Nest” is less about individuals than about how a military unit goes about its job. The men with whom the Boettchers are embedded are consummate professionals – well trained, motivated, and dedicated to the job. Even in horrifyingly scary situations, they maintain an almost superhuman calm. They may swear, but they don’t panic. Why do they do it? Mike Boettcher tells us that once in the field, questions of politics and policy are irrelevant. 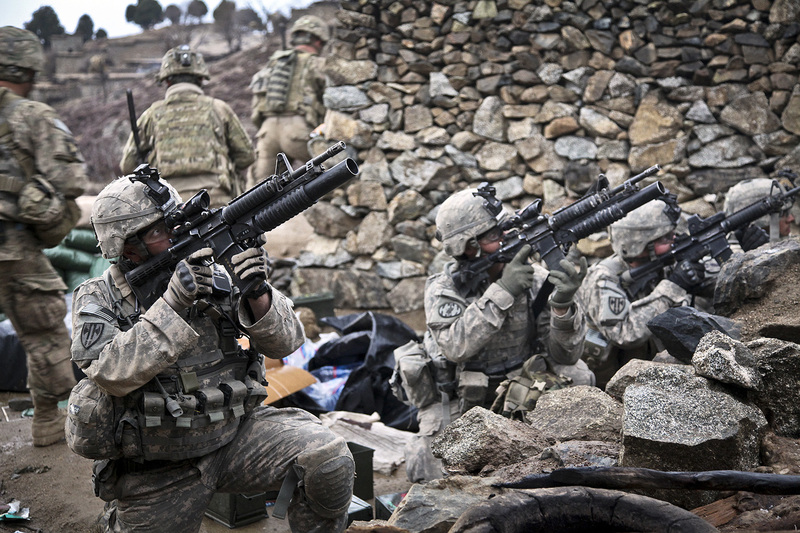 These men fight for each other, he says. It’s Shakespeare’s “band of brothers” in desert camouflage.